Wow another month has gone by but at least we are having some nice weather, I have really enjoyed being able to play outside and have some fun in the sun with the girls. Hope you have too. My LO features some of the elements in the scrap map, this one I looked at the scrap map in the morning and did my LO in the evening without looking at it again. 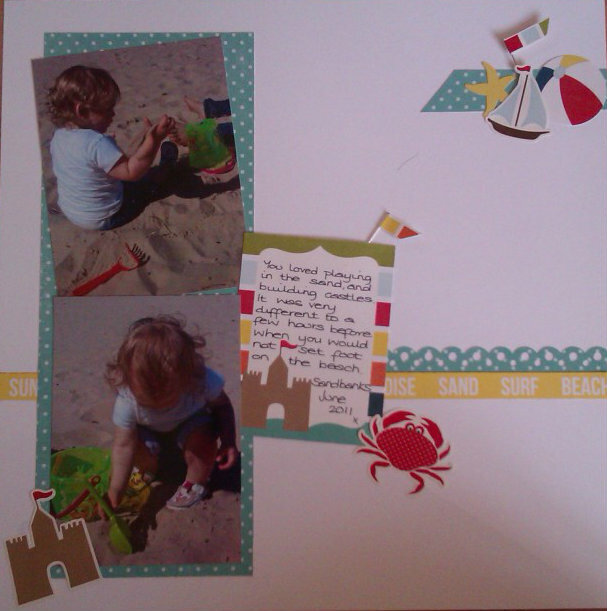 I really try to use the scrap map as a starting point. 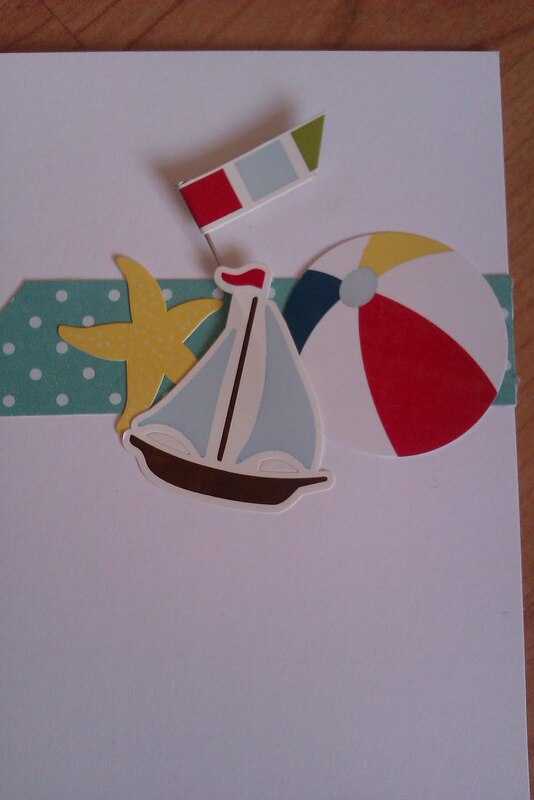 I have used the gorgeous Echo Park Sunshine mini theme pack available instore. I think you all know I am a huge Echo Park fan by now, they are so easy to use and co-ordinate. This is our first proper summer holiday with Poppy in 2011, we went to Sandbanks and had a lovely time, she hated the sand at first but after a few minutes we couldn't get her off it. This is a close up of the embellishments at the top of the LO, these are stickers from the sticker sheet included within the collection pack. Hope to see you all enter into the challenge for a chance to win a kit worth £10 and a months GDT with us over at CCW. 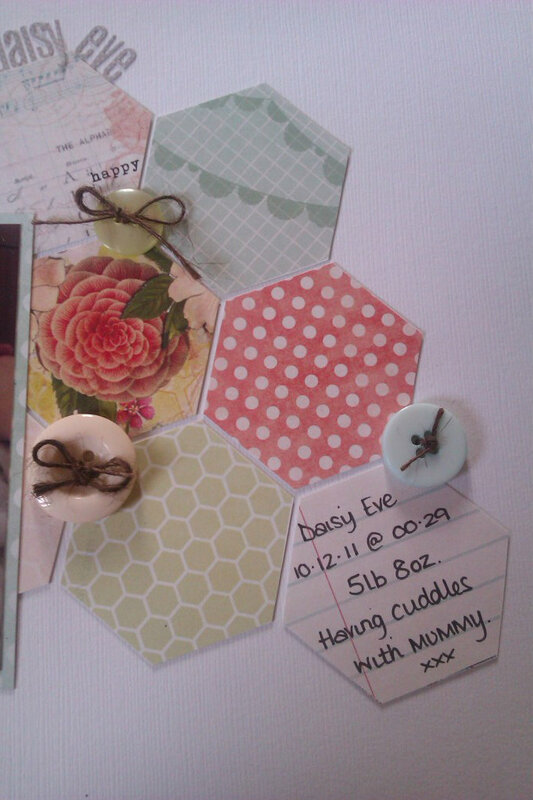 Fab page, love the cluster of embellies.